Demonstration School, Mysuru is a constituent unit of the Regional Institute of Education, Mysuru. This is one of such four schools, in the country, the other three being at Ajmer(Rajasthan), Bhopal (Madhya Pradesh) and Bhubaneshwar (Odisha) as components of respective Regional Institute of Education. The National Council of Educational Research and Training, an autonomous body under the Ministry of Human Resources and Development, Government of India, runs Regional Institute of Education. 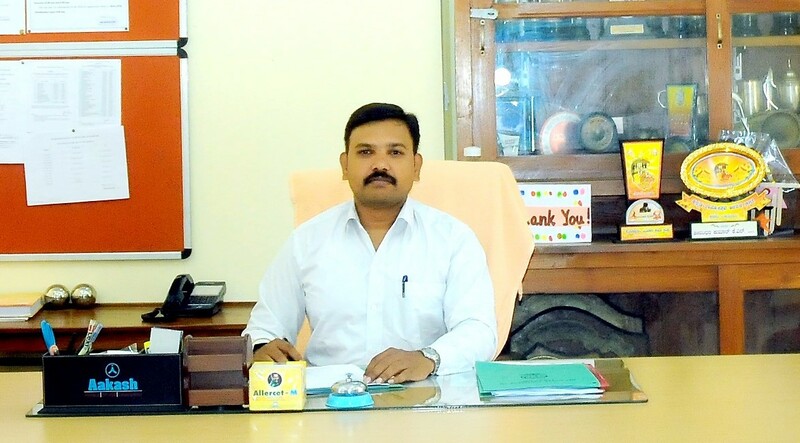 As the very proud Headmaster of this school which is being the first CBSE affiliated school in Mysore and imparting holistic education for the all-round development of the children’s body, mind and spirit. It is my pleasure to welcome you to our school webpage. I hope this will provide you with some useful information about our school and give you an insight into the wealth of experiences we offer our students. Demonstration school is a co-educational, inclusive and multi-dimensional school. We reach out to all the sections of the society based on the constitutional values. It is a unit of Regional Institute of Education Mysuru. It offers an extensive range of extra-curricular programme designed to supplement the regular curriculum. The programs are made to suit all tastes and interests of the students, from the areas of Art and craft, Drawing, Drama, Music, Wood works, Dance, School trip, Literary Competitions, Exchange programmes (INDEM), Sports, and Yoga to mention but a few. These activities are conducted under the guidance of well trained and expert Work Experience Teachers. I believe teachers are an extremely important facet of the learning process. Experienced and highly skilled and committed staff is essential for creating holistic lessons in the classroom and helps to create more well-rounded learning experiences. The teachers in our school are well qualified, skilled and experienced to fulfil the learning objectives and to deliver quality education for our students through various innovative teaching methods. Ultimately it is the parents who are the fourth pillar of the foundation of education. In fact, it is their support and cooperation that makes the school to achieve its academic goals. I am looking forward for your valuable suggestions and advices.